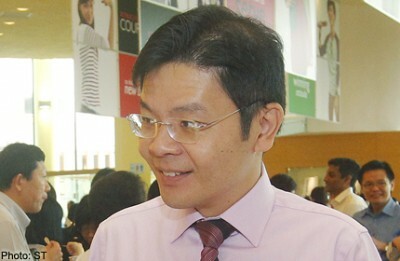 MISINFORMATION and incorrect information is a challenge in the information age, said Senior Minister of State for Education & Information, Communications and the Arts Lawrence Wong yesterday. Speaking at the Library Association of Singapore Conference 2012 - with the theme, "Librarians for Tomorrow" - he said the current environment is such that information is passed quickly from one person to another - often without verification. Mr Wong said: "Librarians can step in to educate their customers to understand the sources of information, so as to better differentiate between right and wrong information." He cited an incident last month when rumours were rife about the health of one of Singapore's leaders, which proved to be unfounded. He stressed that librarians must stay abreast of what is happening in the world, in the region and in society. In order to do so, they will need to actively seek partnerships with the community, and other organisations. Addressing 280 guests, who included librarians, Mr Wong said: "You must listen to different perspectives, and keep an open mind as information professionals."